Released in April last year, numero uno director Rajamouli’s magnum opus Baahubali The Conclusion went on to become the country’s highest grossing movie by collecting over 1,000 crore in the domestic market. The film has grossed over Rs 1,658 crore worldwide, standing next only to Aamir Khan’s Dangal, which had grossed more than Rs 2,200 crore. Until yesterday, Baahubali 2 collected $625K gross in Japan. The film recently completed its theatrical run in Russia with $93K gross, taking its latest overseas cumulative gross to $48,039,000 (Rs 309.10 crore). 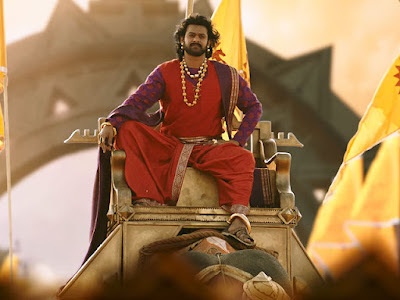 With this, Baahubali 2 has finally dethroned Aamir Khan’s PK ($47,200,000) to stand third in the list of all-time highest grossing Indian movies in the overseas market. On the other hand, Aamir Khan’s two other blockbusters, Dangal and Secret Superstar, are placed 1st and 2nd in the chart with a gross of $228,012,603 and $102,290,000 respectively. Secret Superstar is still having a steady run in China.